We only offer our clients the best! Pluma Designs confidently feature the complete Eufora Line including , Eufora Hair Care, Beautifying Elixirs Hair Care, HERO for Men and Eufora Color for vibrant, healthy color. We also offer Framesi Hair Color as an option. Eufora products utilize the most advanced botanical ingredients available, as well as pure essential oils to fragrance all products for an aromatherapy experience. There are no fillers used, all ingredients are 100% active. Eufora is free of sulfates and uses pure essential oils to fragrance all products, for an aromatherapy experience. The unique blends of botanical, vitamin and other non-carcinogenic ingredients deliver performance that will exceed your highest expectations. Eufora is the only salon professional product line to provide the legendary healing benefits of Aloe Vera in an optimum quality concentration. Known as the miracle plant, aloe is rich in over 200 biologically active substances, including 75 nutrients, 20 minerals and 12 vitamins. Aloe contains elements that are essential to cellular healing, renewal and growth. Aloe also delivers amazing antibacterial, anti-viral and antiseptic properties. You can count on Eufora to deliver substance without hype, because when it comes to quality, there are no compromises. ​Be Nourished. Beautifying Elixirs provides the most advanced solution for damaged, dull, brittle and frizzy hair. Hair color is protected from fading and stays vibrant longer than ever before. A truly innovative prestige hair care brand designed exclusively for chemically treated, colored and damaged hair. Beautifying Elixirs do not contain: Artificial Aromas, Colorants, Sulfates, Sodium Chloride, Parabens, Phthalates, Gluten, Mineral Oil, Petrolatum, Propylene Glycol, Formaldehyde. 100% Active & Cruelty-FREE Formulas: Every ingredient has a purpose, no fillers. Beautifying elixirs is firmly against animal testing and all of our products are cruelty-free. Products that feel great, smell great and above all perform. Eufora HERO for Men is designed for the selective man who deserves to look as good as he feels. Eufora HERO for Men eliminates the undesirable ingredients that can cause clogged hair follicles, and scalp and skin conditions. Eufora’s ProAmino Peptide Complex creates the optimum scalp environment for healthy hair growth and helps to inhibit 5-alpha reductase production, an enzyme that contributes to premature hair loss. EuforaColor utilizes a Micro Pigment Technology with soothing aloe vera, jojoba oil and beeswax. The goal of EuforaColor is to preserve the integrity of the hair with both low ammonia and no ammonia formulas. Delivers stunning shades, lasting coverage and gorgeous shine every time. For 70 years Framesi has been developing innovative products and services that nourish the creativity of hairstylists over the world. 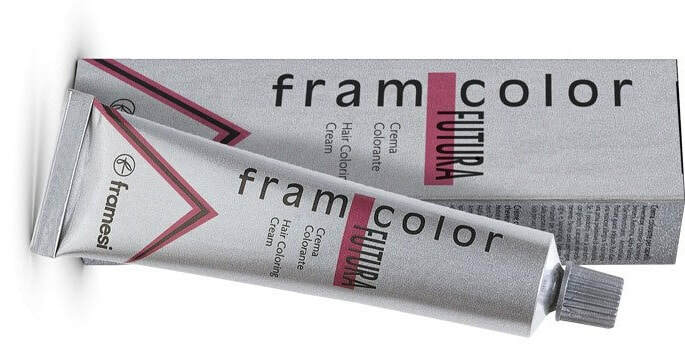 Made in Italy, Framesi Hair Color offers vibrant, long lasting shades with remarkable shine.